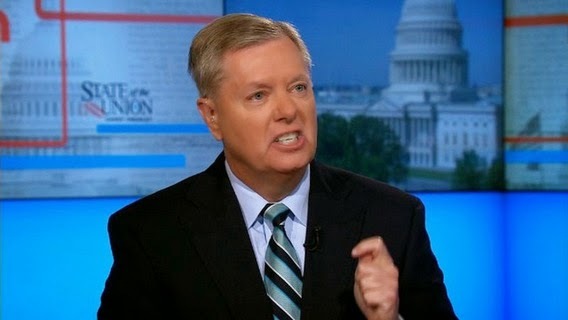 Yesterday Lindsey Graham expressed his interest in yes, for real, becoming a presidential candidate for 2016. Spend any amount of time around the good senator and you’ll hear more extreme sentiments expressed publicly than from any other candidate for the Republican nomination. He holds an expansive view of the unrestricted powers of the executive branch; a steadfast belief in protecting the administrative state; and he has expressed doubts about much of the Bill of Rights. He does not believe bloggers deserve first amendment protections. He does not believe Americans suspected of terrorist acts deserve to be read their rights. And he, like Hillary Clinton, believes the Citizens United decision was a monstrosity that ought to be overturned – he has called for a Constitutional amendment to do so.